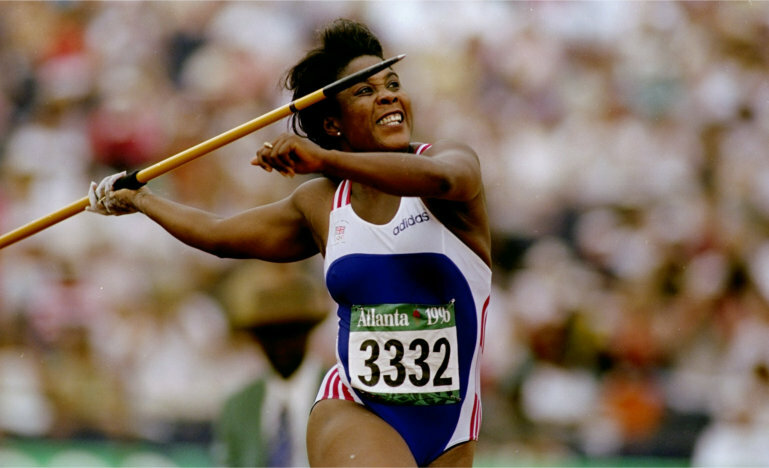 On the 6th August 1984 at the Summer Olympics in Los Angeles Tessa Sanderson won the Gold Medal in the Women’s Javelin and remains today the only British Woman to ever win a Gold Medal in the throwing sport. Tessa is putting a lot of energy into working with youngsters to find that sought after talent. The Newham Sports Academy with Tessa Sanderson was the home of the 2012 Olympic Games and the recently organised Newham Classic 10K run. In March 2004 New Years Honours list Tessa Sanderson was awarded the CBE by Her Majesty the Queen in recognition of her services to sport and being Vice Chairman of Sport England the leading strategic organisation for sport in England. Prior to her CBE award Tessa was the recipient of an OBE in December 1997 for her work with various charities and in 1985 was awarded the MBE for winning her Olympic Gold Medal for Great Britain in Los Angeles. In October 2004 Tessa was awarded the Sunday Times Life Times Achievement Award for her dedication to sport. Tessa holds two Honorary Fellowship Degrees one from South Bank University in London in 2004, and prior to this Wolverhampton Polytechnic. She also has an honorary Masters Degree from Birmingham University. Tessa has competed in SIX Olympic Games, in itself a record which resulted in winning a gold medal in the javelin event in 1984. Tessa has won many other major medals including three times Commonwealth Gold and the last being a World Cup Gold in Cuba in 1990. In the 1992 Barcelona Olympics and competing in her 5th Olympics she finished an incredible 4th place in the final. In April 2009 Tessa again because of her work in the community made history again by organising the first 10K road run to run through the Olympic Park offering the community and other visitors to Newham the Host Borough of the London 2012 Olympic and Paralympic Games a fantastic view of the Olympic athletics stadium. The Newham Classic 10K was so successful that the 10k run now takes place annually. Tessa was also appointed by London Mayor Boris Johnson as a Board member of the newly formed Olympic Park Legacy Company chaired by Baroness Margaret Ford to oversee and help with the formation of the Olympic Park for the Newham community and people living in the East End of London. The first ever Newham Sports Academy was created by Tessa Sanderson made great progress and in September 2009 Tessa registered her own Charity Sports Academy now established as The Tessa Sanderson Foundation and Academy based at Newham College of Furthner Education in Stratford East London. During her 26 years competing for Great Britain Tessa was voted Sports Personality of the Year and Athlete of the Year (3 times) by the Athletics Writers Association. In 1988 Tessa presented the Sports News for 2 years for Sky Television. Her media career involved television presenting for BBC, ITV, Bloomberg, GMTV, where she covered the 1996 Olympics from Atlanta. Other media activities involve working with Talk Sport Radio and other network radio stations in the UK. Tessa still continues with her Media work, her latest being the ever popular BBC “Celebrity Cash in the Attic” with her partner to raise money for one of their chosen charities. In 2005 Tessa was appointed to start a new sporting programme to find grassroots talented youngsters where she could engage experienced coaches in all Olympic sports to go into schools, colleges, community centres in the hope of finding athletes to compete in the 2012 Games. The Tessa Sanderson Foundation and Academy charity is helping Tessa to work on a wider area to help other youngsters who are disabled and non disabled achieve their goals creating a pathway with more opportunities not just in Newham but the wider areas of London and a vision at national level.